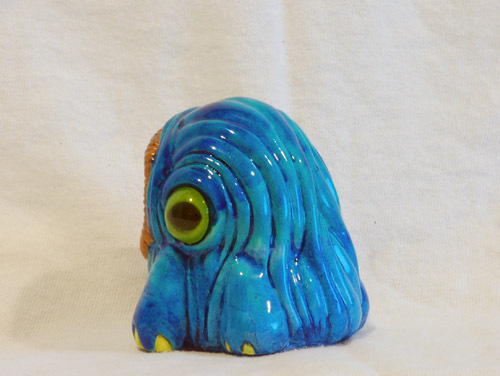 I picked up this little resin guy from Motorbot (Store), a resin maker out of Texas with interesting creature designs. I’ve been interested in his designs for a while, but never quite committed enough to grab one of his larger figures. He recently came out with a wave of bargain-priced minis, and I couldn’t resist. The sculpt is smooth, clean, and organic. 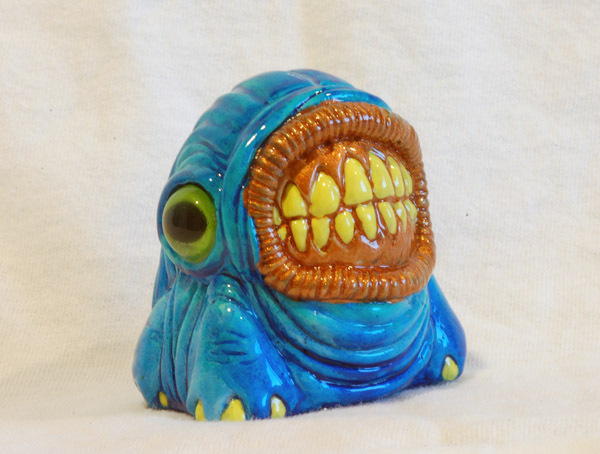 You could see this little bugger being an actual, albeit horrifying, critter. The doll eyes are a nice touch. One thing to note is that I hit this guy with MK clear for extra protection, and he did not come quite as shiny as he is now. Here’s a shot for scale. Perfect size to add to my resin collection! 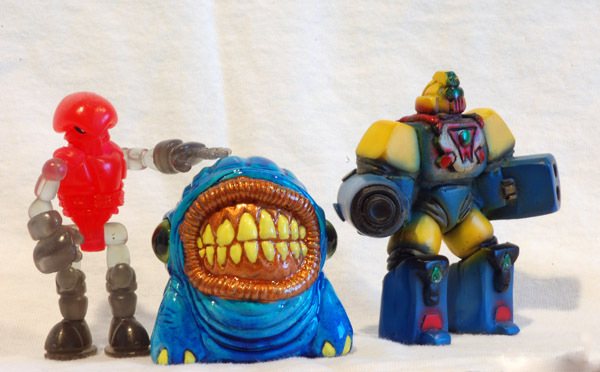 Keep an eye on Motorbot’s Twitter for upcoming work!